My brother and his girlfriend Kristin (K&L Projects) came down from San Francisco with my beautiful reclaimed Bay Laurel coffee table top. 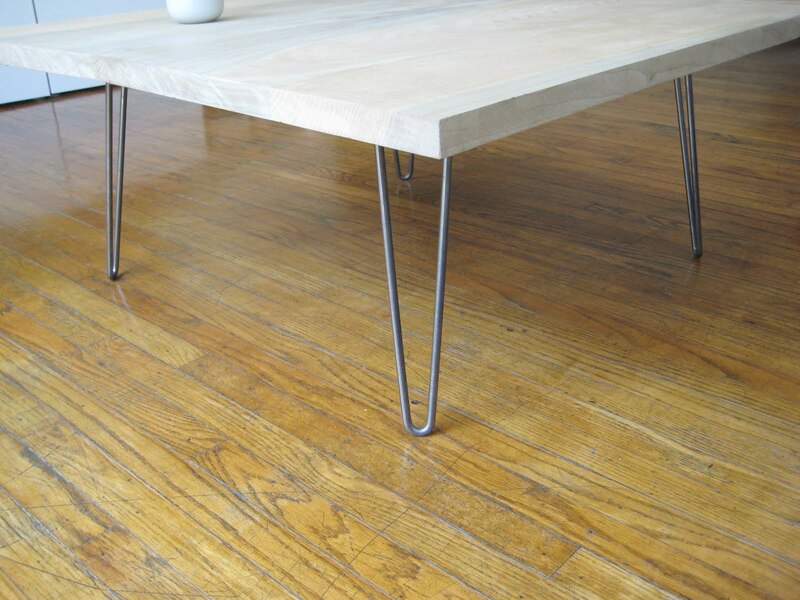 I had these hairpin legs hanging around so I slapped them on and called it a finished table, but now I'm thinking a maybe should get a real base fabricated, the wood is too pretty for hairpin legs. Anywho, I was really inspired to be rid of my old walnut table, and am really feeling the whole rustic thing lately so I picked up a super funky table on Craigslist for $50, removed all the rusty screws, sanded it down, removed the legs and voila, I have yet another dining table! that's a brilliant dining table, i love it. love it. where did you get the base for the dining table. that would make a great desk too. I love the hairpin legs on the bay laurel top. They're as paired back as the table top, thus not interfering and letting the beautiful wood speak for itself. 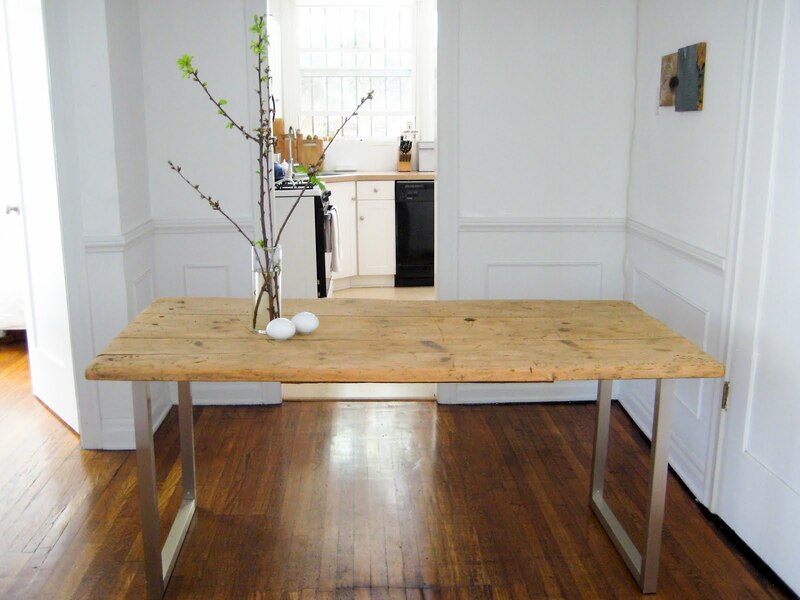 Love the revamp of the dining table. Has me thinking about my dining table!! oo girl! where are the legs from? they look rad with that! Looks amazing. 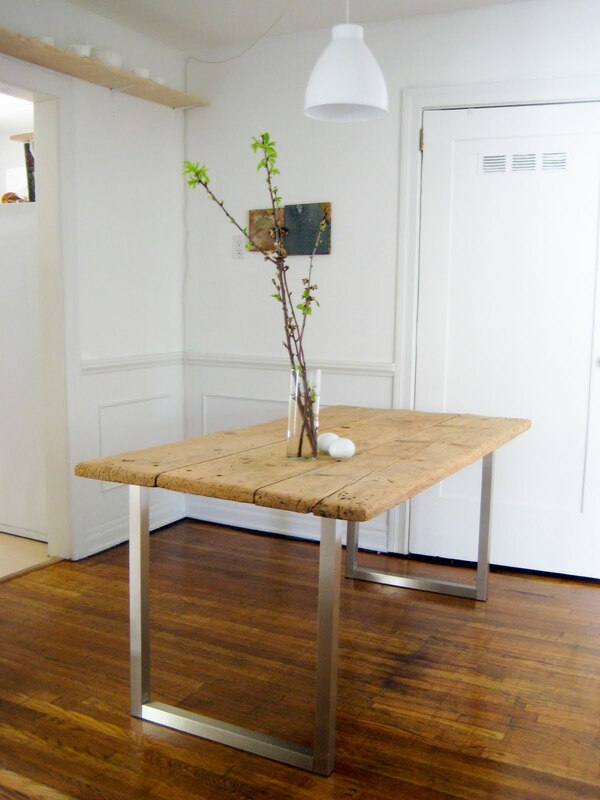 Love the rustic vs sleek. the legs are from Ikea believe it or not just $30 each! am i correct in that the legs are Vika Moliden (ticle Number: 101.155.19) specifically? we are in the process of finishing a kitchen/dining remodel & we have our bamboo too for the dining table. i'm not certain that our existing table base is going to work out & i love the look of your table. i think these are the legs you used correct? so gorgeous! 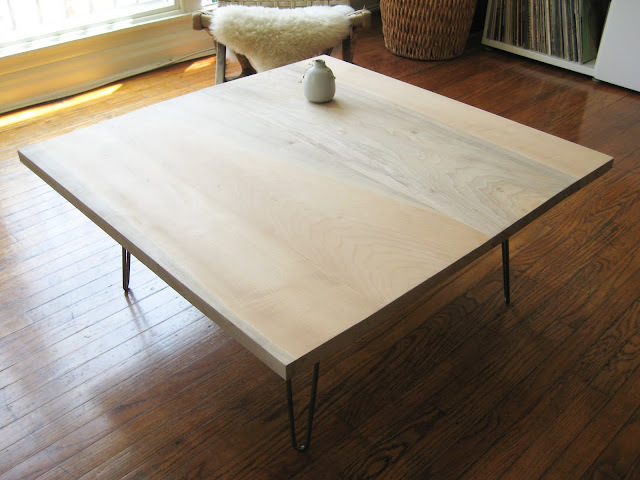 I've been considering a similar thing with those IKEA legs and some live-edge wood slabs I found on craigslist! yours is perfection. Can you please explain how the underside of the table looks? What supports (if any) did you use? Thank you!